I would never have guessed that there was a cooking school on a rooftop in the heart of Rome, let alone a very large kitchen with more than enough wine ready to be drunk if it wasn’t for my pasta-making cooking class in Rome with Walks of Italy. On a Rooftop Roman Terrace, Glass of Red in my hand…. There I was, on a warm Friday evening, dining on a typical Roman terrace with a glass of red in hand and homemade pasta being devoured in a fraction of the time it took to make. My dream to take a cooking class in the Eternal City came true on my last night in Rome and it did not disappoint under the supervision of Chef David’s pasta-making class I attended! The moment David opened the door to his terrace, I received a warm reception from him, the other guests, and the stunning views of the rooftops surrounding our classroom. Already I could feel the warmth of the authentic experience I was about to have. Before the lesson, David offered us his homemade appetizers, beautifully presented creations he prepared earlier in the day, and then he took the time to introduce himself and how he was motivated to quit the marketing job he was in to pursue his dream and passion of cooking. Everyone could tell he was there to share his passion and it made us even more excited to start making pasta! 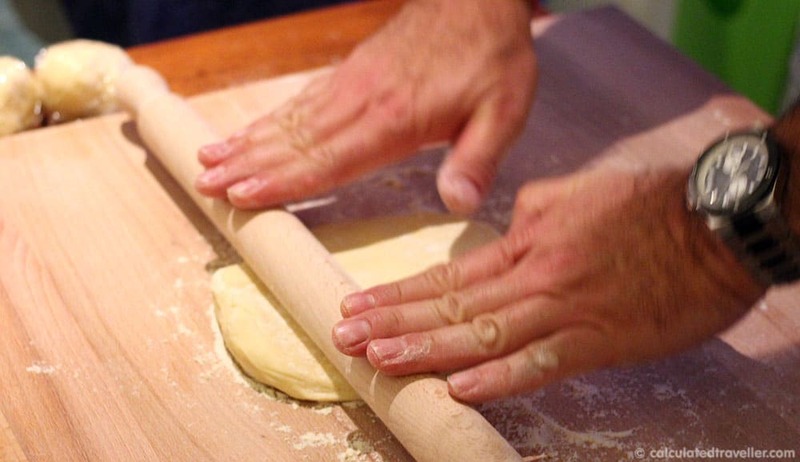 With prosecco and a bit of food in our bellies, the twelve of us joined David in the open-space kitchen to wash our hands, throw on a cute apron and began prepping the pasta dough. We all gathered around the island of our individual workspaces where separate plates of flour and glasses of water were waiting. Before we got our hands on the ingredients, David explained we were making a very delicious pasta dish named Pici with Amatriciana and went on to explain the history behind the dish which made the experience more interesting! David was an excellent teacher who made sure everyone heard his instructions and demonstrated each step with his own ingredients. As each of us added a little bit of water or flour to our pile, he walked around the island, patiently helping those who had trouble with the consistency of the dough- and teasing us with his perfectly crafted dough! After much folding, kneading, and pressing we tossed a bit more flour on top and covered our dough with saran wrap, ready to be placed in the fridge for 30 minutes to set. 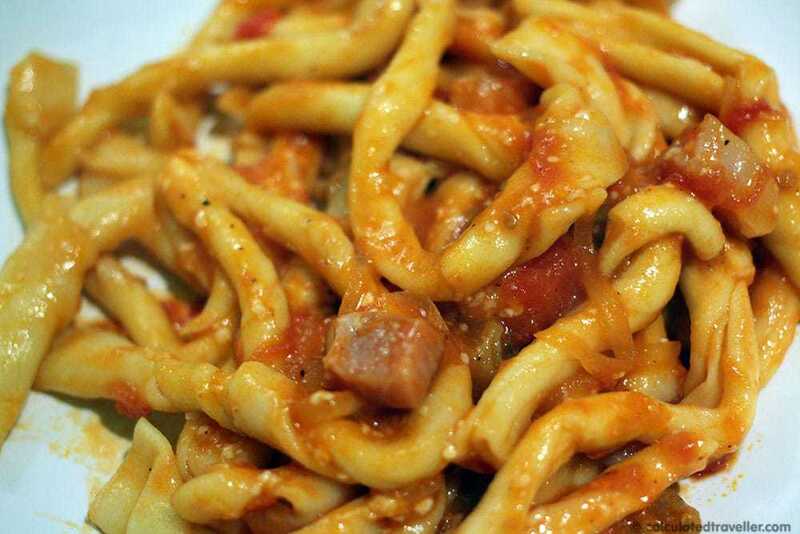 We focused our attention to the all-important amatriciana sauce, which David took charge of. 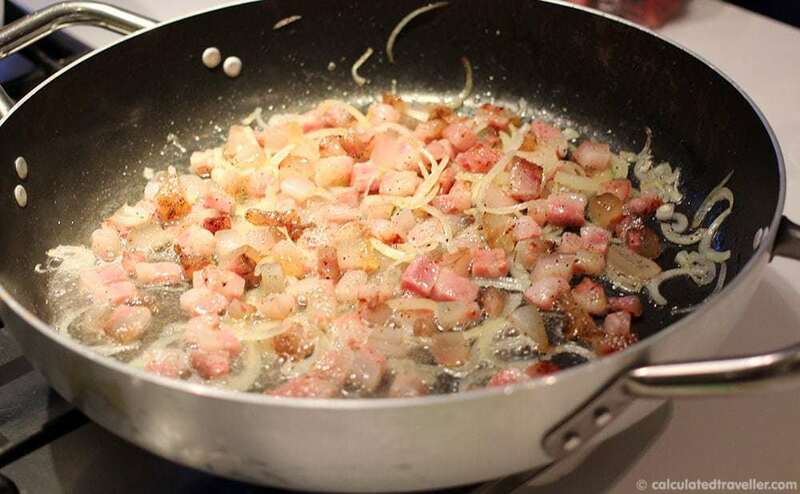 He turned the stove on and began the process by showing us one of the most important ingredients in the sauce: pig cheek! He sliced and diced the lard and flesh into cubes, threw it into the pan with finely chopped onions and a pinch of salt. When the cheek lard became translucent, he poured a few cans of tomato sauce in, added pepperoncino- to add spice to the dish- and let it sit and simmer. The aroma of pork, onions, and tomato sauce was making all of us quite thirsty, so we pulled out a bottle of wine and nibbled on some pecorino cheese, naturally. Finally, it was time to shape the pasta! 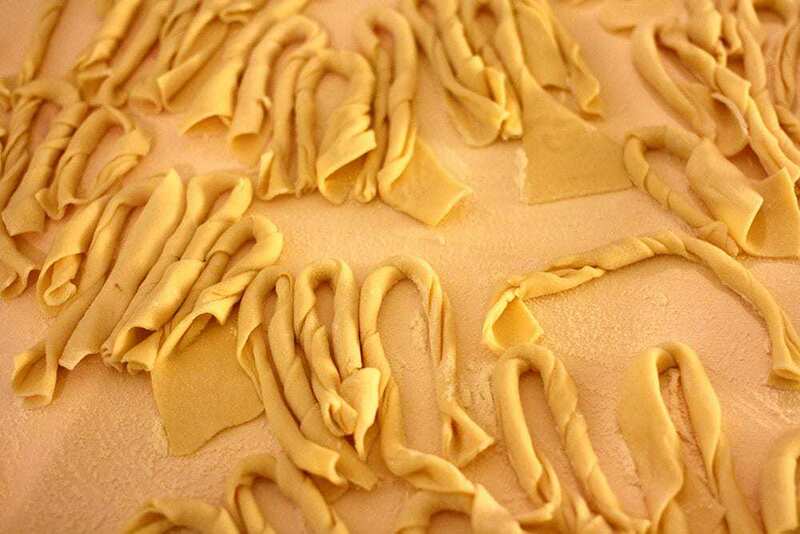 David explained we were shaping the dough into pici, a thick, hand-rolled pasta originating from Siena, Tuscany. Except, we were shaping it with a unique twist — literally. Instead of a fat version of spaghetti, we shaped our pici flat and then twisted the dough in our palms to create spirals. The spirals acted as pockets for the sauce to stick to, which I thought was genius! 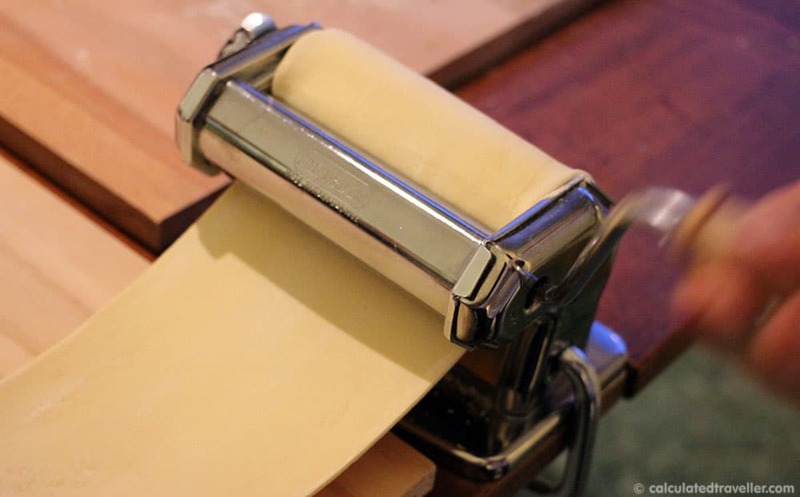 When it comes to pasta making – practice makes perfect! Using the pasta machine was by far my favourite part of the class. We used a rolling-pin to flatten and shape the dough and then fed it through the machine with a crank, making it thinner and flatter every time it went through. Because our group was split into two, we decided to have a playful competition to see who could roll the best-looking pici. And I have to say both groups couldn’t put together a single pici right like David did! Some weren’t twisted enough, some ripped apart, and some didn’t look anything like pici to be completely honest. I guess it really goes to show practice does makes perfect! But the point of the class was to learn a new skill, work as a team, and have great fun doing it, which is exactly what we accomplished! After throwing our pici into the salted boiled water, I noticed everyone was drooling over the food we had just prepared. But there was still one more step in the process to complete our Pici with Amatriciana. David drained the pasta and threw the heap into the uncharacteristically large saucepan, tossing it like it was nobody’s business. He would stop the spectacle only to add in a few pinches of pecorino cheese. With the sauce tightly packed into the crevices of our unique pici, we were ready to wine and dine! There is nothing more satisfying than enjoying a fantastic dish you just made with love, especially when you can share the experience with others. In fact, there was silence for the first minute of our dinner while everyone took a first bite. I could see grins forming on everyone’s faces after a few moments, bright by the candlelit terrace. It was truly a sweet moment. Chatter started up again with our own “professional” critiques of our pasta, and overall we agreed it was well made and deserved another round of wine! Of course no Italian meal is complete without dessert! After cleaning our plates, David presented us with one more yummy surprise. 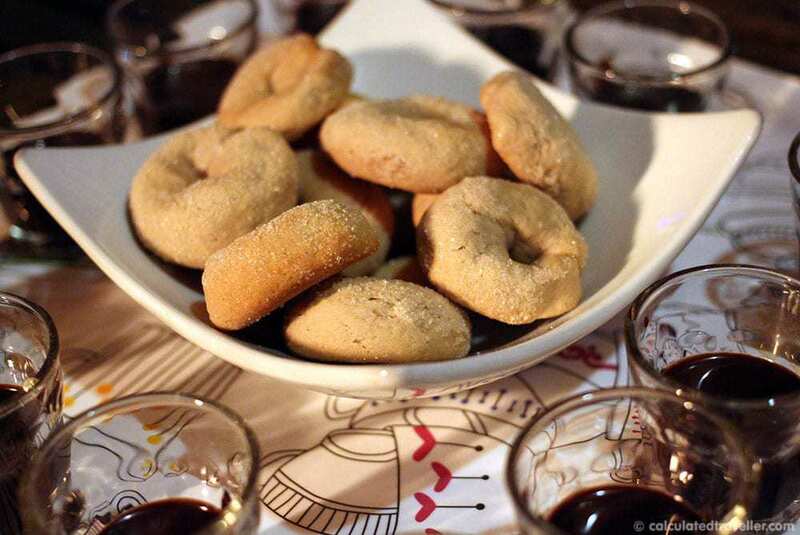 He shared his liqueour infused cookies with liqueur infused chocolate sauce. Oh boy, did that hit the spot. That last evening in Rome was certainly one of the highlights of my Eurotrip and it’s thanks to my fellow cooking wannabes, the delicious meal, and most importantly Chef David! It was obvious his heart and soul were dedicated to giving our group the most enjoyable experience in Rome possible. Grazie mille! The author was a guest of Walks of Italy. The opinions expressed, positive and/or negative, are entirely that of the author and are not a reflection of the compensation received. Lea is a graduate of the RTA School of Media at Ryerson University in Toronto, Ontario Canada. Lea believes her curiosity of new cultures comes from her mixed background of Chinese, Italian, and Polish. She loves new adventures whether it’s living on a different continent or checking out the local eats in her hometown of Toronto. Travel has led Lea to many beautiful countries and is always dreaming of her next destination. Looks like you had a great class! I taking cooking classes when I travel, it makes the experience all the better. Lea, pasta making is really exciting especially when it’s fresh pasta! Kneading is always my favorite part. Second to eating! I love taking cooking classes and that one looked like a great time. Thanks for sharing! Wow! What an amazing experience and such a great memory! Did your instructor have any recommendations regarding flavored pasta (like spinach?). I have made pasta on my own before, but haven’t tried flavoring it. What fun this looks like! 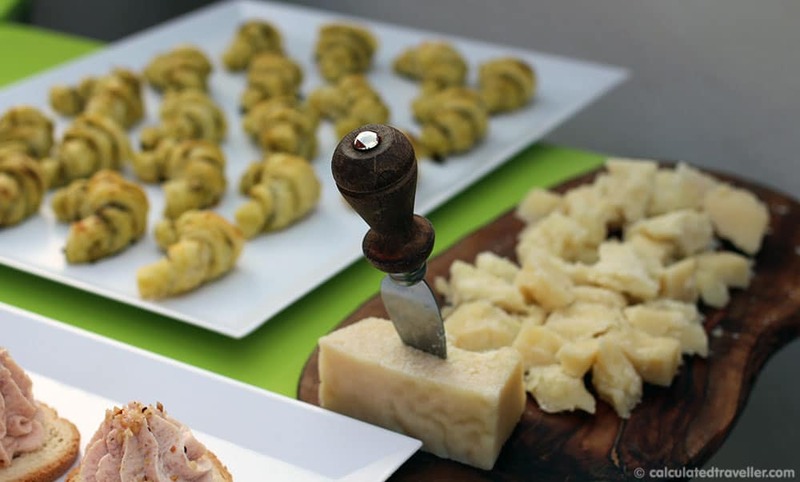 I soo want to do a cooking class in Italy – fantastic really fun – and now are you cooking great italian food at home? Looks awessome adding to our bucket list of things that we must do! 🙂 thank you for sharing! That looks positively scrumptious! I wonder if, with enough prosecco in me, I would ever become a capable cook. Perhaps this calls for an experiment. I really want to do this now! 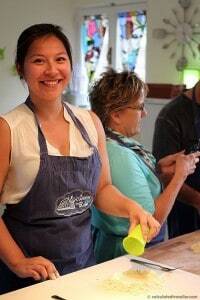 Cooking classes while on vacation is a great idea! I’ve always wanted to make fresh pasta too! Great post and pictures, thanks for sharing! That looked so great. I got so inspired that I will consider joining a class in Rome as well. Italian food is always delicious. It all looked delicious. A wonderful way to experience Italy like a local. So I shouldn’t have read this post before lunch! Wow! I’ve always wanted to make my own pasta – now I’m inspired. Looks like so much fun! I’ve always wanted to take a cooking class like this and Italy would be a great spot to try one! The food looks tasty–it would be fun to hand make noodles sometime! Italy is especially a great place to take a cooking class. The setting really inspired me to act like the chef I always knew I had in me and the end result is rewarding! That pasta looks so fresh and delicious! I need to sign up for a cooking class. They look likes tons of fun. I have always wanted to make home made pasta! I have heard about Walks of Italy’s classes on a couple of different blogs now…next time we are in Rome, I will defintely check out one of their tours! 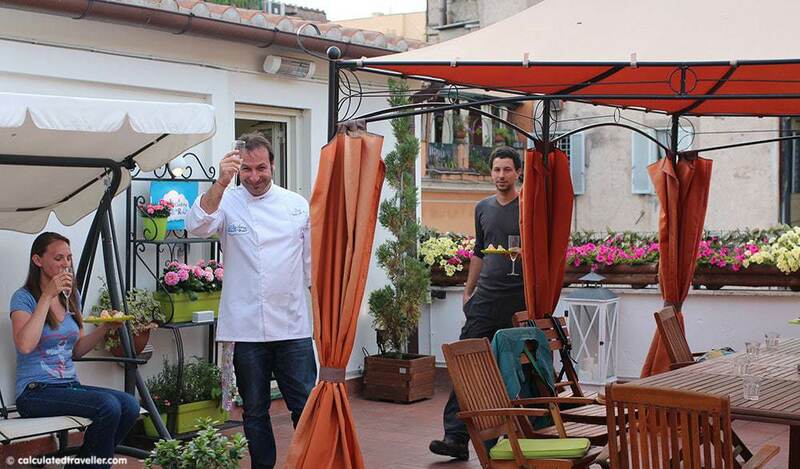 Sitting on a rooftop terrace in Rome sipping wine and cooking sounds like HEAVEN! Walks of Italy was a very exciting experience for myself and if you love pasta and have the curiosity to make it, definitely check it off your bucket list.